Be the first to share your favorite memory, photo or story of Betty Carolyn. This memorial page is dedicated for family, friends and future generations to celebrate the life of their loved one. Born December 21, 1944, at home on Holly Fork Road in Rowan County, she was the daughter of the late James Everett Sloan and Iva Ethel Masters Sloan. Besides her parents, she was preceded in death by two brothers, James Robert “Bob” Sloan and Billy Roger “Bill” Sloan. A devoted wife, mother, and grandmother, Betty’s life centered around her family. She received great joy in meeting the needs of her family and helping others as well. In addition to being a meticulous homemaker and gifted seamstress, Betty always found time to give special love and attention to each family member (including her rescue cat “Tiger”), to prepare delicious holiday meals, and to cultivate her garden. She extended the same caring attitude and help to those in the community, especially those in need. A Christian, Betty’s inspiration will endure in the many lives she touched. She will be greatly missed. 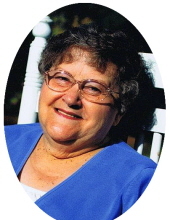 To send flowers or a remembrance gift to the family of Betty Carolyn Sloan Eldridge, please visit our Tribute Store. "Email Address" would like to share the life celebration of Betty Carolyn Sloan Eldridge. Click on the "link" to go to share a favorite memory or leave a condolence message for the family.